Check out Fetty Wap’s new video for “Bruce Wayne,” the title track to his latest project. Back in early June, Fetty Wap released an impressive 11-track mixtape called Bruce Wayne, which was dedicated to his late grandparents. “My grandparents mean the world to me. I know they aren’t here, but I know they would be really proud of the man that I’ve became and my music. I’ve put out so much music in this past year, so I wanted to make sure to dedicate this record to them,” he said. Today, the New Jersey sensation decides to revisit that very project and share a new video for its title track. 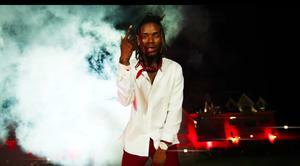 Following up his “Toast Up” remix video, Check out the Fetty Wap & CBR Media-directed clip and let us know what you think. Bruce Wayne available now on iTunes.